Kids will love this cumulative and hysterical read-aloud that features a free downloadable song! Children will be in fits of laughter with this perfect read-aloud tale of an endearing donkey. By the book's final page, readers end up with a spunky hanky-panky cranky stinky-dinky lanky honky-tonky winky wonky donkey! Download the free song at www.scholastic.com/wonkydonkey. 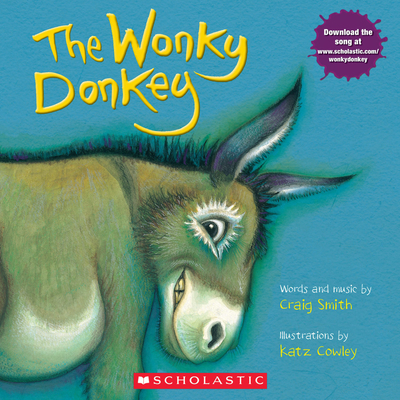 Craig Smith is the recipient of the 2008 APRA Children's Song of the Year for The Wonky Donkey. When not writing, Craig works as a musician and entertainer. Visit him at craigsmith.co.nz. Katz Cowley is an illustrator and teacher who leads workshops in drawing, creative journaling, and self-expression.